If you are a movie fan you can create your own cinematic home movie theater experience with this 77-inch TV that allows you to truly immerse yourself into movies, tv shows, sports and more. The LG OLED has advanced HDR that enhances each scene to 4K quality. It also has an Intelligent Processor that maximizes picture quality by producing images with rich colors, sharpness and depth. 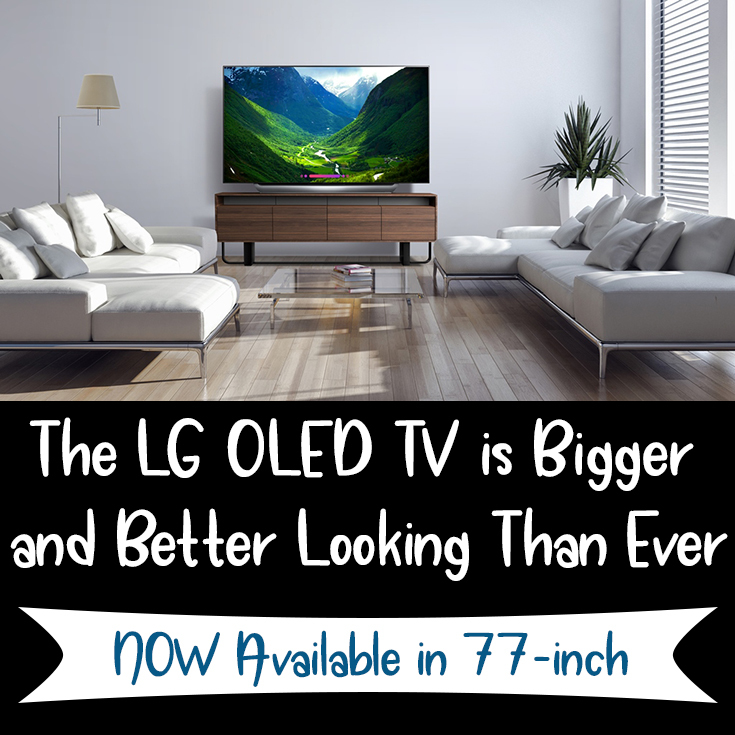 If 77-inches is too big for you this awesome TV is also available in 55 inch and 65 inch screen sizes too! This is one fancy TV! 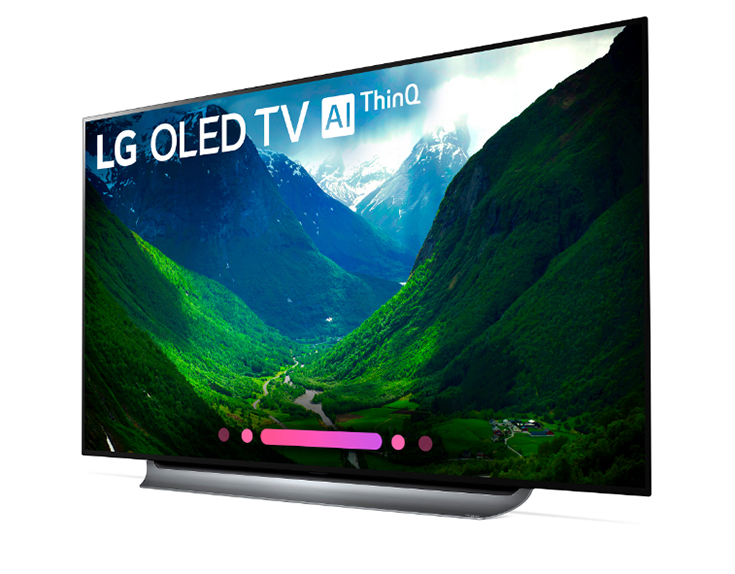 The LG OLED TV with AI ThinQ® has the Google Assistant built in, so you can control compatible smart home devices using just your voice. Since it is a smart TV it will allow you to launch apps like Netflix, Hulu, and more. It also works with Amazon Alexa devices (that are sold separately) that will give you even more control. Perfect Black & Intense Colors: Each of the 8.3 million individually lit pixels of the LG OLED TV with AI ThinQ can brighten, dim or power off completely, achieving perfect black and displaying a level of picture detail impossible with any other television technology. LG’s most powerful processor, ?9 (Alpha9) providing superb picture quality: Award winning intelligent processor. LG’s most powerful processor ever provides true-to-life images with incredibly rich colors, sharpness and depth to deliver the ultimate picture quality. Cinematic Sound at Home with Dolby Atmos®: Dolby Atmos transports you with moving audio: crickets chirping all around, a monster roaring from behind, or a plane soaring overhead. Dolby Atmos content creates a more detailed sound experience that appears to come from everywhere for a wonderfully realistic, immersive experience that puts you inside the story.